It’s pretty wild that a show with nine seasons under its belt can continue being not only compelling and hilarious, but genuine. Shows like, let’s say, The Simpsons, continue to be successful and entertaining (depending who you speak to), but it’s hard to put trust in the characters’ emotions. Despite the several dream sequences in this episode, the very real feelings that ground them remind viewers why the Belchers are a family to watch. No matter the scenario, the family is lovable. The way the family embraces each other’s flaws, like Tina’s obsession with boys, is a wonderful reminder in these troubled times that it’s OK to be ourselves. This is maybe one of the first premieres of the show that focuses on such a specific story instead of the whole family. To a fault, we barely see Louise and Gene. But it’s all worth is when Tina pulls a Yentl and dresses as a boy to be a part of her favorite boy band, Boyz4Now. She throws on a red wig and with little comment from her family dive deep into boy band culture, discovering a potential love interest along the way. As has happened several times before, Bob, Linda, Gene, and Louise are barely phased by Tina’s plan. They instead are more interested in a dead rat found in the restaurant. In any other episode the saga of the family finding and then idolizing and then loving a dead rat might be the main story line. 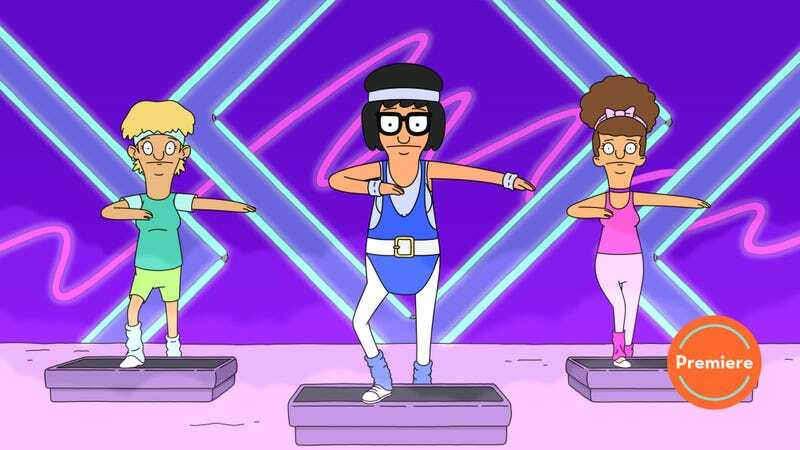 The major flaw of this episode is that it glazed over what could have been a major plot, ripe with jokes, and instead focused on Tina’s boy band obsession. It’s a little upsetting that the premiere would neglect so many members of the Belcher family, and yet Tina is the perfect outlet for what the show is about: the Belchers are overly confident while also questioning every move they make and ultimately find themselves in the middle of a story. That’s where Tina ends up while trying to join her favorite boy band, and it’s a shame that there wasn’t anyone else along for the ride. Was this the strongest episode of Bob’s Burgers? No. Considering the hype put on the “150-versary,” I was expecting more. That being said, it was still a solid episode of television, proving that even nine seasons in this is one of the greatest shows on TV. Happy 150 episodes! Here’s to 150 more! The creators encourage you to Belcherize yourself for the occasion. Hi! It’s me, back to review Bob’s Burgers for what I anticipate is another glorious season. See ya next week!